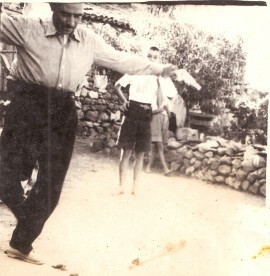 Above: My father, Haralambos, dancing in our neighbourhood. 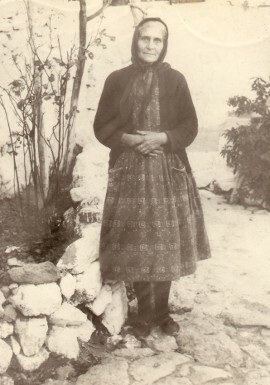 c1954. 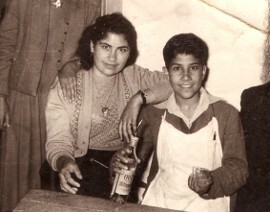 Above Right: My mother, Modestoula. Above: With my sister, Kyriaki, in our father's kafeneio in Antissa. The photograph was taken during the Feast Day of St John the Theologian.